Istanbul was crowned Destination of the Year at the inaugural Food and Travel Reader Awards on 3 September, voted by readers of Food and Travel magazine Istanbul is now regarded as one of Europe’s top city-break destinations with more than 8 million visitors annually, taking its spot among the world’s 10 most-visited cities. The only city in the world to straddle two continents, recent archaeological excavations have shown its history to date back 8000 years or so. Istanbul is this year’s European Capital for Sports as well as being one of the three candidate cities in line for the 2020 Olympics. Istanbul was also recently ranked 4th best destination in Europe and 7th best destination in the world, in the TripAdvisor 2012 Choice Destination Awards. Istanbul competed against Beirut, Hong Kong, Lima, New York, Paris, Sardinia, San Sebastián (Spain), Singapore, Stockholm and Saigon to take the top spot. According to the statistics,the number of tourists has been 1.528.682 in September of 2012.In 2011 the number was 1.465.531 and in 2010, 1.324.268. Regarding 2012, Antalya has welcomed a number of tourists which means a record level for Septembers of all times. If it is considered regarding from the beginning of the year, 9 monthly period, the number of tourists has been 9.051.931 which signs a %2 decrease comparing to the same period of 2011 but also means a significant slowdown in the decline speed which is a good sign. The Hilton Grup started the construction project of second Hilton in the region. Hotel will be with 3 floors and 600 beds. Crown Plaza Bursa is opened with its 216 rooms and 450 beds. Hotel has the biggest ball room in Bursa and also has spa-thermal center which is about 3.500 m2. 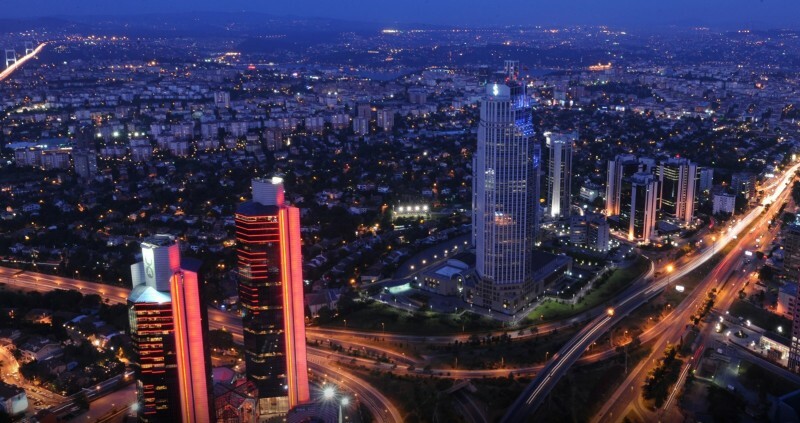 38 new hotels will be constructed in Istanbul by private sector. Last year 25 billions tourists visited Turkey, which 8 billion of it visited Istanbul. The goal of 2013 is 10 billions tourists and 1.500-3.000 $ in average personal income. It is stated that in 2011 and in the first 6 month of 2012, the request of hotel investment certificate reached to 19. Thus; the activity in the main investments sectors like construction,furniture,mining has rallied. Would you like to receive more information about new events Gemini Destination Management Company? Contact us and we will be happy to put you in touch with our DMC in Turkey.